We are one of the District Loyal Orange Lodges which make up the County Down Grand Orange Lodge which in turn is one of the County Lodges which go on to make up the Grand Orange Lodge of Ireland. Our district is made up of 15 private Lodges all based around the Ards Pennisula which is on the east coast of Northern Ireland. The district stretches from Newtownards at the northern end down to Portaferry at the southern end of the peninsula. Most of the Lodges would be from rural communities and play a vital role in the welfare of the communities in which they live, with their halls being used for a wide variety of community events and activities such as computer classes, day nurseries and dance classes and many more such activities with many members playing an active role in community groups, churches, schools etc. There are a number of parades throughout the year organised by both ourselves as a District and also by the private Lodges within the district.The main parade for all Orange men, women and children is of course the Boyne Anniversary Celebrations which are held on the 12th of July each year to celebrate the victory of King William III Prince of Orange over King James II at the River Boyne in July 1690 a victory which secured civil and religious liberty for all the peoples of the British Isles and paved the way for the democratic forms of government we know today. To learn more about the Orange Institution Click Here. In the earliest years of the formation of the Orange Institution a decision was taken to set up County, District and Private Lodges to enable a more manageable structure to the organisation. The County basis is self explanatory; the Districts were set up by the Counties in areas according to the strength of the organisation in each locality. The North Down area took in the towns of Comber, Newtownards, Holywood, Bangor, Donaghadee and all the villages and countryside in between, including the Ards Peninsula this was designated No. 4 and known as Ards District. The District from quite small beginnings built up until the year 1858 in which the County returns show that there were 26 active Lodges in the area, ten of which were in the town of Newtownards. Worshipful Bro. James Boal a long time member of LOL 1054 was the District Master and a committee member of the Grand Orange Lodge of Ireland. In the year 1859 a dispute arose and although it is not possible to find any documentary evidence as to the cause, it would appear to have started in the private Lodge and then spread to the District Lodge. County Grand Lodge of Down set up a sub committee to visit the area and to report their findings to the next County meeting. They reported to the April meeting in 1860, unfortunately the record of their report gives no details as to the reason for the dispute only the committee’s recommendation for a resolution to the problem. The County meeting accepted the report and also the recommendation that No. 4 District should be split and a second District No. 11 to be known as the Upper Ards be formed in the area. Unfortunately the division was not detailed territorially but was left that each Lodge should decide as to which District they wished to belong. The 1861 Co. Down report shows five Lodges that met in Newtownards plus two Comber Lodges and two Carrowdore Lodges remained with No. 4 District, but that only seven Lodges are reported as having decided to move to the new District; four Newtownards Lodges plus one in Donaghadee one in Groomsport and one in Kircubbin. In 1862 four Lodges 1059, 1056, 1037 and 677 were added to No. 11 District and Worshipful Bro.James McCreight LOL 128, a Newtownards man was District Master. The following year another four Lodges were added 969, 836, 1592 and 1053, only one of these was a new Lodge, 1592 which opened in Portaferry. The District Master of No. 11 was Worshipful Bro. Captain Stackpole, Worshipful Bro. James Boal was again returned as District Master of No. 4. In 1864 the County returns show that No. 4 District added one Lodge 1501 while No. 11 increased by two Lodges 1412 and 878. Another increase of three Lodges 1884, 1885 and 552 in 1865 brought their total to 20 Lodges. These were stirring times for Orangeism in Ireland, reaction to the political activities of Nationalists and to the challenge mounted by Bro. William Johnston of Ballykilbeg against the Government ban on Orange parades, culminated in a massive illegal parade from Newtownards to Bangor in July 1867. County records for 1869 show that No. 4 District increased by three Lodges, 1035. 1948, and 1949 making a total of thirteen Lodges, while No. 11 District added a massive 8 Lodges, 1057, 1900, 1908, 1919, 1920, 1930 and 1951 bringing their total to 28. This brought the total number of Lodges in the North Down area to 41. The District Master of No. 11 was a Bangor man, Worshipful Bro. David Harvey. This situation continued for the next ten years until, in 1879 a proposition was brought to the Co. Down Grand Orange Lodge meeting from both No. 4 and No. 11 Districts requesting a change to the territorial arrangements within the North Down area. It was suggested that from 1880 onwards all Lodges that met within the town boundary of Newtownards should come under the jurisdiction of No. 4 District, all others to belong to No. 11 and it was also suggested that the names of both Districts be changed; No. 4 should be known as Newtownards District while No. 11 be called Ards District. Although this proposal was accepted and approved by the Co. Down Grand Orange Lodge and the suggested name change did take place in No. 4 there is no record that it happened in No. 11. These new arrangements led to the transfer of some 5 Lodges, 111, 128, 1054, 1908 and 1919 into No. 4 District. This brought the number of Lodges in No. 4 District to 18 but while the new arrangements went smoothly in Newtownards they seemed to cause some problems in No. 11. The administration of No. 11 District seemed to collapse, the Officers stopped attending County Lodge meetings and no return of membership was made between 1880 and 1885. In 1884 two things happened; the County Lodge appointed a small committee to inquire into their non attendance and nine Lodges in the Holywood and Dundonald area applied to the County Lodge for permission to form a new District. The District Master, Worshipful Bro. David Harvey blamed the poor administration on the District Secretary and said that a change had been made and promised matters would improve. The application for a new District to be formed was approved; the District was given No. 14 and Worshipful Bro. Rev. J.B. Crozier was the District Master: he was a well known cleric who would later become the Archbishop of Armagh. Queen Elizabeth I died of pneumonia at Richmond Palace in 1603. The throne now passed to James VI of Scotland the Protestant son of Mary, Queen of Scots and descendant of Margaret Tudor the sister of King Henry VIII. He was crowned James I of England, the thrones of Scotland and England were now united and a new flag was designed to represent both countries. 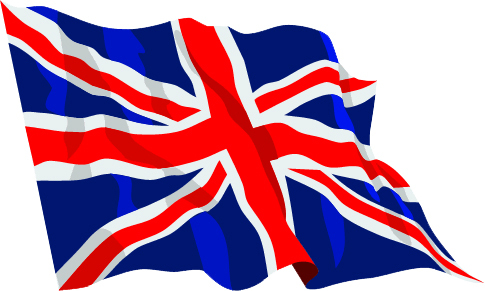 The first version of the Union Flag was flown from 1606 until 1801. It combined the English flag (a St George’s cross, red on a white field) with the Scottish flag of St Andrew (a saltire or diagonal cross, white on a blue field). After the defeat of the United Irish rebellion in 1798 a new Act of Union was passed and in January 1801 the Irish Parliament was abolished, Ireland was now part of the United Kingdom, and the Cross of St Patrick (a saltire or diagonal cross, red on a white field) was added to the Union Flag.